Bow Street Flowers - A daily record of life in a small flower shop: Is it time yet to bring back dried flowers? 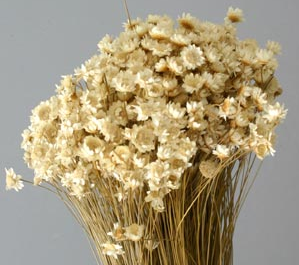 I think the memory or our mom's dried flowers with a seven-year dust layer is too close to the surface for many of us. That being said, having dried hydrangea from my own garden that still has the blush of a recent life makes me think there are some acceptable ways of using it. I think it's a great way to extend a flower budget but it should have a shelf life. Maybe three months. Set a timer. Good point. I wish though that it weren't a matter of extending the flower budget. I'll be thinking about it. Yes, please! I will be one of the first to scoop up the Lunaria! Hmm I am not a fan of dried flowers, but you make them look good. Pretty sure I was on Telegraph Avenue when you were. Jen, I like the idea of you being in Berkeley at the same time! Cafe Mediterranean? Larry Blake's? Mo's? A lot of recent dried flowers have looked too cute. Not nqtural, at all. Yours will not look like that, so go for it. Oh God don't get me started. we were just looking at an old book of Kenneth Turner's of dried flowers. 80's maybe? Shudder and laugh simultaneously. I like to use flowers than can dry, hydrangea, yarrow, pods, bittersweet stick them in water or (oasis, shssh) and let nature do what she does best. 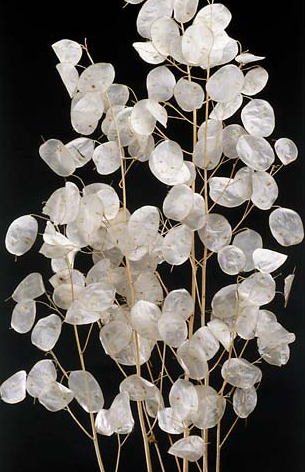 Lunaria would be a very welcome addition to this imaginary arrangement. but strangely enough i have been turning the idea over in my head. Jane, what book of Kenneth Turners? Yes, yes and yes. Also Le Bateau Ivre, Shakespeare & Co. and a little Mexican place. Odd that you mentioned this as I just remarked to ex-RAF hubby I cannot find any Statice. Out of fashion? Perhaps, but I like to use it in copper/pottery pitchers around the house during the winter. Hi Noelle, thanks for asking about Violet. We're having a check up right now. There's some progress. 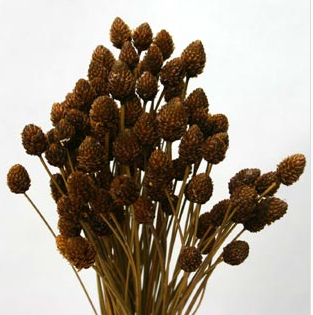 I really love dried flowers - but I don't find that there is a market for them like there was in the 80's. I have really gotten away from them in my Etsy shop. I now am doing seashell art. Lately, though it seems like shoppers are searching and looking for my dried flower pieces and am wondering if I should order some. I think I have that dried flower book by Kenneth Turner around here somewhere. Hello Shelley, yes I think it's high time dried flowers were back in fashion. I loved Kenneth Turner's arrangements. I also have a friend called Terence Moore, who had some books published and who did some amazing stuff with dried flowers.I think maybe the problem is people expect too much from them and keep them too long or in sunlight. I wonder if Kenneth Turner still uses dried? 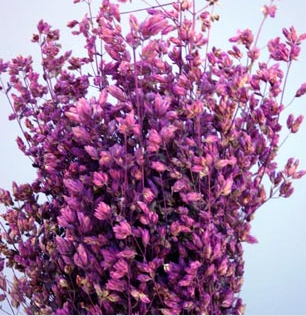 As a grower of many flowers that dry wonderfully, we have tried dried arranged bunches, wreaths, topiaries, cornucopias and lovely vases of dried flowers. Our thoughts are having locally grown flowers in your home for just a few months until our fresh flowers are available in late Feb. and March. It is a very hard sell because of the images of the past of messy, faded, dusty, spiderweb cover flowers. If only we could change that perception.